By far the most famous product from Venice, hand-blown and -shaped glass from the island of Murano is a true art form, as well as a symbol of the city. Venetians have been producing glass since the 10th century, though the threat of fire (or, as some argue, the greater threat of the secrets of Venetian glass being exported by artisans to other Italian cities) prompted the move of the city’s glass workshops to the outlying island of Murano in the Middle Ages. 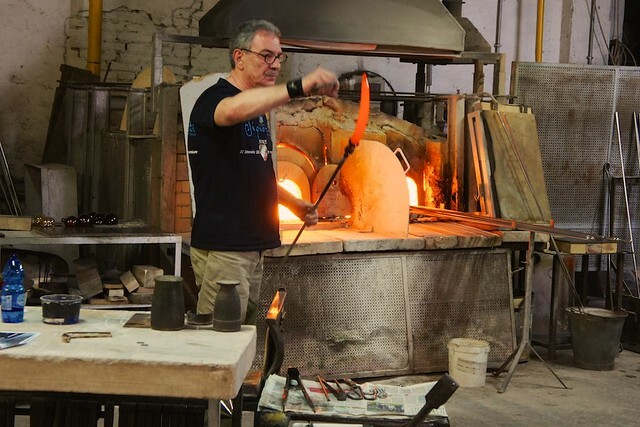 Today, Murano’s Fondamenta dei Vetrai is lined with fine glassmakers turning out traditional and contemporary pieces from their fiery furnaces. 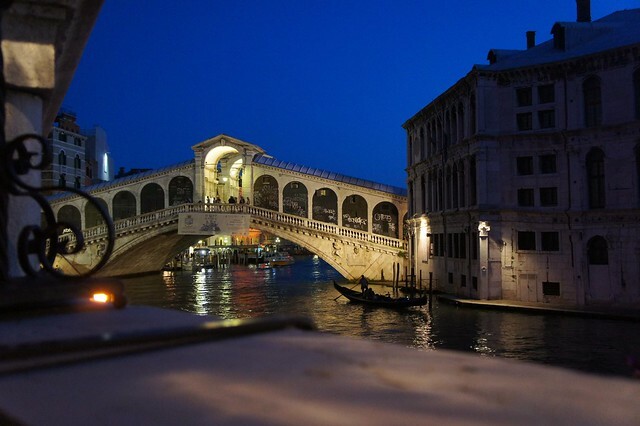 There's nothing that says Venice like its fine glass, but be particularly cautious when making purchases as the city is flooded with cheap imitations that are not produced by the local craftspeople. To be sure your piece is authentic Murano glass, purchase directly from the workshop or factory, and look for the official Murano trademark. Also, avoid shops with bargain basement prices or sale signs; not every piece of Murano glass necessarily costs hundreds of euros, but it also doesn't come cheap. 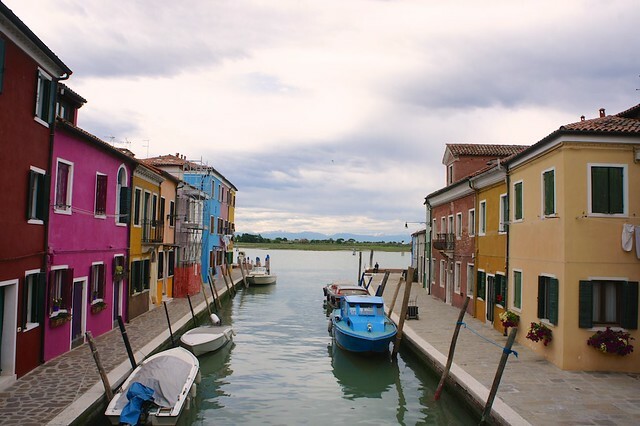 The island of Murano is known for glass, and Burano, further out in the Venetian lagoon, is known for its lace. 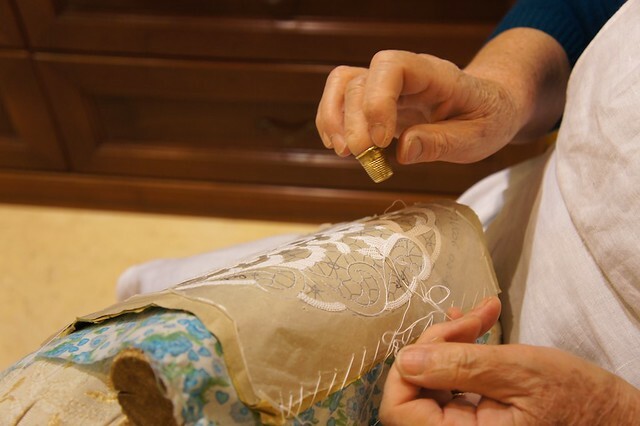 Island women have been crafting intricate needle lace, known as Point de Venise, since the Middle Ages. Point de Venise became so prized during the Renaissance that it was worn by noble ladies across Europe, and Burano’s lace school displays examples of fine Burano lace and holds lacemaking demonstrations by local women who keep the traditional techniques alive still today. As with glass from Murano, handmade lace from Burano has a price tag that reflects the long hours of work that go into each piece...which makes the market ripe for inexpensive machine-made knock-offs produced outside of Venice and sold in the city's souvenir shops. Purchase your pieces from the handful of upscale linen and lace shops located on Burano to guarantee authenticity and quality. In addition to its intricate lace, Venice has long been known for its sumptuous textiles...gorgeous silks, velvets, and damasks once dressed everything from the fine palace interiors to their wealthy and powerful residents. Today, most Venetians are much more staid in their attire, but the city is still famous for its luxurious fabrics and textiles used for both décor and fashion, and some of the world's most famous architects and designers look to the city's flagship companies for their finest materials. Two of the most historic and famous names in Venetian textiles are Bevilacqua, producers of hand-woven silk velvet made on 18th-century looms, and Rubelli, who produce decorative fabrics and wall coverings for some of the most famous interior designers and architects in the world. More modern, but no less prestigious, Fortuny is known for their high-end quality but bohemian style; for elegantly casual fabrics and home décor, try Chiarastella Cattana. With their historic penchant for the luscious silks and velvets, it comes as no surprise that Venetians have long been producers of intricate jewelry and luxurious accessories to set off their finery. 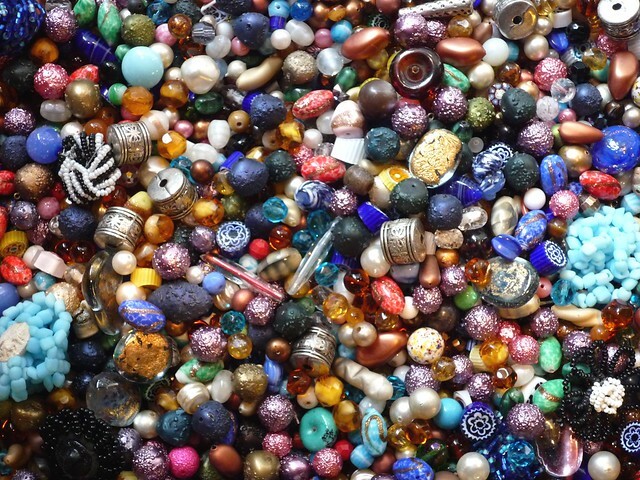 You'll find boutiques from some of the world's most famous jewelers lining the more fashionable streets in Venice, but take the time to search out local artisans and you won't be disappointed. Some of the most prestigious ateliers in the city are Sigfrido Cipolato and Nardi for handcrafted fine jewelry, Daniele and Stefano Attombri for contemporary jewelry made with tiny Venetian glass beads, and Eredi Jovon for traditional Venetian cameos. For shoes, choose a pair of classic gondolier slippers known as furlane or friulane from Piedàterre or handcrafted shoes from Kalimala or Giovanna Zanella.